2 Permai a freehold residential property project by BSG Property located in Tanjung Bungah, Penang just opposite the Tunku Abdul Rahman (TAR) College. 2 Permai consists of 184 units of 3-storey terrace with lot size measuring at 22' x 69' and 22' x 73'. Each terrace unit has a gross floor area of approximately 3,400 sq.ft. and 3,800 sq.ft. comes with 6 bedrooms and 5 bathrooms. Built-up Area : 3,400 and 3,800 sq.ft. what is the price per unit? Show House is ready for viewing, and the selling price is RM1,288,000/- onwards. Terrace houses selling from 1.28M onward. One of my friend bought a bungalow at Beverly Hills recently, only about RM2.2mil for 7000sq.ft plus, double storeys. If I'm going to buy, I'll think the positive side, try compare it with Quayside...definitely won't regret. David, u have no idea what you are talking about, comparing apples and oranges. Here'a analogy using condos e.g. 2000 sf at KLCC fetches 2000 psf at RM4mil each; whereas 6000 sf fetches 1200 psf at RM7.2mil each. The bigger the size, the lower psf. So, you can't compare directly because they belong to different segments. FYI, small water villas for the Light going targetted to go from 12mil to 15 mil. try to compare that! For 800 psf, u think Quayside is value for money... what a joke. Try walk across the street to Fettes Residence, it's at 400 psf. Get your facts before trying to sell your project E&O boy. no need to argue guys, both of you are right. These are 2 different markets, like what noble said it is an apple and orange situation. Both markets have their advantages as they offer different kind of design and lifestyle living. The uptake rate speaks for itself. Jeremy, You are right. At this point of time, no market price in Penang anymore. There is only how much the owner wants to sell, take it or leave it. yes lee, what you said is very right. In Penang, there is no such thing as the price is right. If the buyer likes it, they will pay for it. After all, land and properties in penang are limited. There can be only so much owners on this island. If you think it is too expensive, then someone else who can afford it will buy it. The price is too high. You can get a bigger house in a better location for that price, especially in the 2nd hand market. Like it or not, all units (remaining units of PII and PIII) have been taken up, bumi units included! These terraces are not cheap but savvy buyers are not dumb either. The combination of a reputable developer (Boon Siew group) and quality finishing still works like a charm. The low housing loan interest rate may be another contributing factor to the quick sales. anyone care to comment on what the difference is between permai 1 and permai 2? permai 2 land area does not seem much bigger. perhaps built up also bigger than permai 1. but why the big price difference? 'House'.. this is rotational play. They've finished with the 1 Permai frenzy and now it's 2 Permai. These ppl are 30% 'shelvers'. 1Pmai 600k to 780k, 2Pmai, 750k to... suppose to be 975k but mother luck created recent frenzy with the price run at southbay & tg pinang and so, the trick then became pricing at 60% above purchase price!! regardless of the slash, the 30% margin is there because people are too embarrassed to slash from 1.2 mil to below 1 mil right??!! They then move to nine-ten, then to the gated development in the middle of the permai village, then detached villas next to TARC and round and round it goes. U got the cash, u got the game. Cheers! Oh, 'House' btw, check out the student houses at 1Permai - all controlled by BSG. Contrast that to BSG brochure of 1Permai. Now, take 2Permai's brochure & keep in your file. Contrast that to the actual development & how it would end up. Pay 1.2 million & stay next to student house! Can u imagine? I put my money on Tg Pinang anytime, despite the Tsunami.. haha. Cheers again! hi noble, your view is interesting. i am just surprise if there are really buyers willing to pay such exorbitant price. buyers are very savvy these days. anyway, we shall see whether there are really takers. for southbay, maybe i can understand a little... coz of the close proximity to the 2nd bridge. but then again, staying close to industrial area ain't that good either. this is just my personal opinion. no hard feelings to southbay buyers. for own stay, i feel sp setia is still a nicer place and comparing with the others house prices as this is one of the cheapest, best value for money now. i wonder whether sp setia is a good investment to buy now and keep for a few years in hope of capital appreciation. for such big house, other places such as are selling for more than $800-$900k. any advise on good property to invest in penang? i'm looking at gurney park. what do you guys think? thanks. 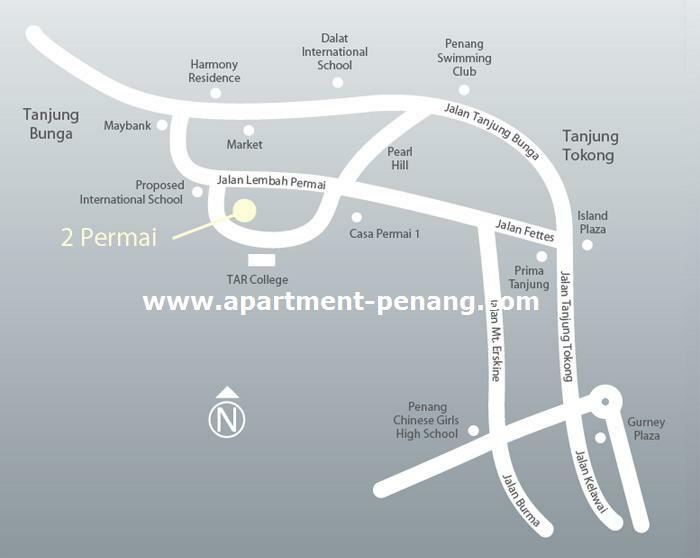 Anyone buying their new project Permai Gardens? I went there yesterday, only few units left. 1.38 mil for a 3 storey terrace. Launched price RM1.288Mn, currrent selling price RM1.130M. Real demand and supply play? oh,oh, is this a first sign of a property meltdown? Those who bought during the high run-up in late 2009 and 2010 would get quite burned? Hope I'm wrong. I went there and take a look, kind of lots of college students stay in that area. It become student hostel area. It is such a nice and quiet area. How would so many apartments feed into that main Jalan Lembah Permai road. I hope it is not greed that the developer is doing this as it is self-defeating for them in the long term. Reported in Sin Chew news today. 5 cases of robbery by Indon. A brand new original unit for sale asking RM1.85mil nego. Original condition brand new, back facing park. Asking price RM1.8mil. For further info please contact +6012-4989901. - Build Up 2500sq. ft.